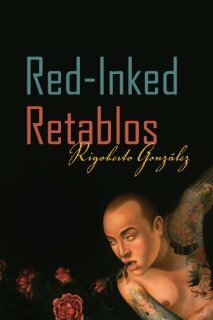 In Red-Inked Retablos (University of Arizona Press), Rigoberto González weaves his words to create a tapestry of literary activism and erudition, passion and precision, action with words. 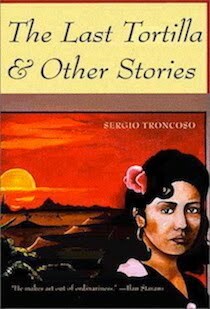 He successfully achieves a book of ‘mariposa consciousness’: that is, a primer for the gay Chicano writer and intellectual on how to move from family poverty and homophobia to self-education and self-realization, from not having a voice in a marginalized world to fighting with literary work to create your voice and change the world around you. If individual and community freedom matter to you, then you should pick up this book and read it. Red-inked Retablos is divided into three expressions (or ‘retablos’) of the memories, stories, people, books, and ideals that have inspired González to ‘spill blood on the page:’ self-portraits akin to memoir, studies of books and writers, and speeches. The memoir essays, the strongest of these three sections, reveal González’s boyhood fascination with reading and his discovery of Truman Capote (“The Truman Capote Aria”) as an early model of sorts, a gay man on television who turns out to be a writer. Amid the poverty of a farmworker family in tiny Thermal, California, and with a father constantly disappointed with his sensitive, shy son (“Easter Rock: 1983”), González finds his way to books. He creates an interior life that keeps the meager, macho, and violent world around him from swallowing him whole. As a teenager and young adult, González is self-aware enough to find answers to his questions, and courageous enough to take risks to change his life. González educates himself despite his mother’s death before he is a teenager (“Orphans in a Terrorist World”), and despite his father abandoning him with a cruel and controlling abuelo. At every turn, González remembers and makes sense of these traumas, as an adult, as a gay man, as a Chicano, as a student and later as a professor. He writes to find meaning in his world, he writes to overcome this world, and he writes with passion to change what he sees as its shortcomings. 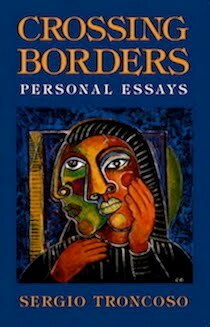 The studies of the poet Andrés Montoya, Arturo Islas, John Rechy, Michael Nava, Richard Rodriguez, Francisco X. Alarcón, Gloria Anzaldúa and others show the rich vein of “beloved Jotoranos” who are González’s literary ancestors. But what these studies also display is that to achieve his ‘mariposa consciousness’ González has done, and continues to do, an enormous amount of work. The work to perfect his craft. The work of close reading. The work of criticism and thinking. The hard work of writing well. He has taken the work ethic of the farmworker, and transformed it, and transformed himself, into this hard-edged beauty. 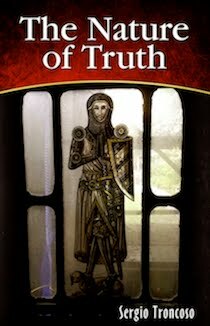 The only quibble to this nonfiction collection is its cohesion. Some of the studies seem perfunctory, while others are more in-depth (“Lullaby from Thomas James”). 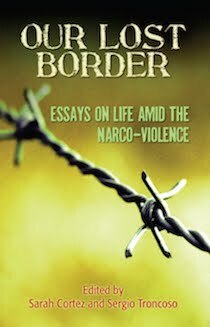 One of the speeches is a must-read for any Chicano literary activist (“To the Writer, to the Activist, to the Citizen”), while the other is a polemical speech that makes the surprising claim that González’s book column for The El Paso Times was “shut down.” Whether or not that is true, I leave it for others to debate. But that speech doesn’t quite fit with the other one, and the whole collection is a loose fit at best between the memoir essays, studies, and speeches. What matters, however, is this remarkable journey and transformation that González achieves in words and literary activism in Red-Inked Retablos. 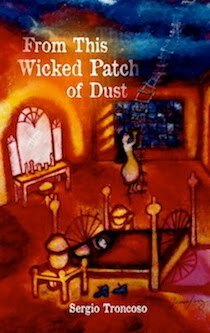 It is a roadmap for other gay Chicano writers who will follow him. His insistence on being proudly gay and on being proudly Chicano, his love of these two communities and antipodes in one self, the effort to bridge the two and create his world in words, the struggle to educate and elevate those around him– all of this work should make it a roadmap for all of us who care about living in a better world.